Custody and time sharing can be the center of contentious disputes in and outside of divorce. When disagreements over child custody arise, the representation and support of an Las Cruces family lawyer at Sutherland Law Firm, LLC can be essential. With 40 years of experience handling custody cases, our attorneys have the skills and insight to provide effective counsel and representation in a range of custody disputes. Our goals are to help you get through the conflict so you can focus on your child(ren) and the next chapter of your life. We are ready to discuss your needs, concerns and goals. We are also ready to protect and advance your interests as we strive to bring your custody dispute to the best possible resolution. What Is Custody versus Time Sharing? Legal custody, which refers to the legal authority and responsibility to make decisions about a child’s education, health care and upbringing – The presumption in New Mexico is that joint legal custody generally serves the best interests of a child. When this may not be the case, it is up to a parent to prove otherwise. Physical custody, which refers to the physical time each parent gets with the child – There are no automatic assumptions regarding how physical custody or timesharing should be split between parents. This aspect of custody is generally determined on a case-by-case basis. If parents can agree on how to share the legal and physical custody of a child, the terms of their agreement can be detailed in a Parenting Plan. That Plan is then submitted to the court1 for review. If acceptable, the court will formalize the Plan as official custody orders. A court-sponsored clinic or court-ordered mediation – This informal option allows parents to come together to discuss the dispute and work out a mutually beneficial agreement. It may involve counselors, psychologists and/or mediators. These proceedings are typically private, meaning they will not be part of the public court record. A formal court process – This can include the appointment of a Guardian ad Litem, which is an attorney for the child. The Guardian ad Litem will generally interview the parents, the child and other involved parties and report back to the court, recommending what (s)he believes to be in the child’s best interests. The child’s adjustment to a new home, school and/or community. Once the court has made a determination regarding custody, the final ruling will be issued as official custody orders. Relocations and modifications – When a parent wants to relocate a child or otherwise modify an existing custody agreement, (s)he will need to go back to family court and request a formal change to the custody orders. In these matters, the court will again focus on making a determination that serves the best interests of the child. Enforcement of custody orders – Unfortunately, parents do not always comply with the terms of agreed-upon parenting plans or official court custody orders. When one parent violates a custody order, returning to court to report the violation is the best course of action. The court may then hold the violating parent in contempt and/or take other action. Child support – Child support awards are closely tied to custody and timesharing arrangements. As such, child support may be modified if or when custody and timesharing arrangements are changed. Here, it’s also important to note that parents should not without custody or violate custody orders if one parent fails to pay child support. Instead, it’s best to return to court and allow the judge to determine the best course of action and/or penalties. 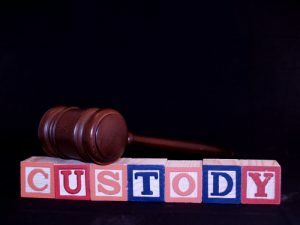 For experienced, effective representation in any custody matter or dispute, contact an Las Cruces custody & family lawyer at Sutherland Law Firm, LLC. Call 505-293-9333 or email our firm. Responsive, compassionate and insightful, our attorneys are ready to work closely with you to develop the best strategies for protecting your interests and positioning your custody case for success. We have extensive experience advocating clients’ rights in a range of custody matters, including those involving initial custody orders, modifications, relocations and allegations of abuse. Let us help you successfully navigate the complexities and challenges of your custody case so you can obtain the best possible outcome and move forward with your life. From offices based in Las Cruces, we provide the highest quality counsel and representation to clients throughout New Mexico. Our attorneys are also licensed to practice in Texas and Michigan. 1: The Third District Court handles child custody cases for those in Las Cruces and throughout Doña Ana County.